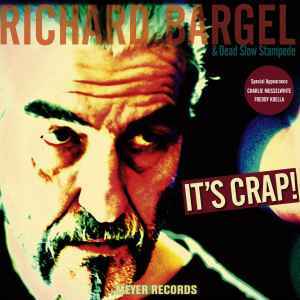 Richard Bargel & Dead Slow Stampede ‎– It's Crap! Recorded at Tonstudio Feder and live at jazz venue "Altes Pfandhaus", Cologne Germany. Direct Metal Mastering by Hans-Jörg Mauksch at Pauler Acoustics, Northeim. Overdub recordings Freddy Koella by Freddy Koella at Garage Studio, Los Angeles. Overdub recordings Charlie Musselwhite by Harry Gale at Studio Route 44, Sebastopol, Ca. Track duration A1 printed (4:49) on center label and (4:57) on gatefold cover.